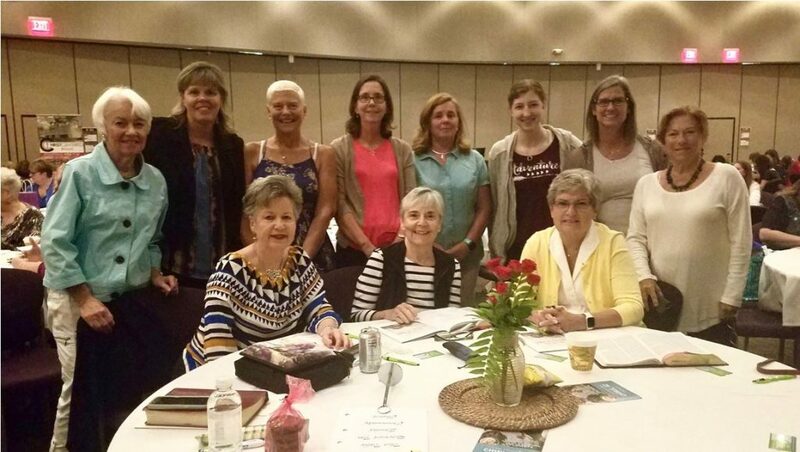 Thirteen women from Sanibel Community Church attended the Living Proof Ministries, Beth Moore Simulcast on Saturday, September 18. We worshipped, prayed, enjoyed a fellowship and meal time together, and received a powerful teaching message about our awesome, faithful God of new creations. Beth took us from Genesis to Revelation teaching from scripture how He is the God of change. SCC’s Women’s Ministry cordially invites you to our “We Are One” Welcome Gathering, Saturday, October 27, 9 to 11 a.m. in Fellowship Hall. Together, we will praise and worship our King as One, laugh a little, cry a little, pray a little and love on one another. A light breakfast will be served (a love offering will be received). Childcare will be provided for ages seven and down. Sign up today by clicking on Sign Up Genius at (https://www.signupgenius.com/go/70a0c4fa5a728a4f94-weareone), or stop at the Connection Center on Sunday, the Church Office during the week, or email cyndie@sanibelchurch.com. It’s a time to love on, pray for, and encourage our women in missions during Missions Weekend. If you would like to participate on the event planning team and/or wish to assist at the event, contact Sharon Bugler at sharonbugler@hotmail.co.uk or Beth Burns at burnsfamsanibel@comcast.net. A teaching event in which a framework for accountability is shared. Launched by Nini Sieck and Lorraine Frey late afternoon on Friday, March 8, with dinner and breakout sessions. Four workshops on Saturday morning, March 9 ending with late lunch and fellowship. Thursday, September 27 and October 25 from 6:00 to 8:30 PM in Room 130. Enjoy some fun board games and fellowship. Bring your own drink and snack. Hosted by Liz Smith. **Childcare is available for Women’s Ministry programs and events. Sign up is requested—either on line or at the Connection Center on designated clipboards. For more information please reach out to the contact designated above.